Today is a bittersweet day. I sent my 3 older kids off to school this morning. As much as I was looking forward to this day, now I find myself looking at the clock every few minutes, just waiting for the time when they'll be home. I'm really looking forward to hearing all about their first day at school! We met their teachers last night at their 'Back to School Night'. It was fun for the kids to see their new classrooms, and to visit with some friends that they haven't seen all summer. It also gave us a chance to give each of their teachers a fun gift. *8- 4.25"x4" Notecards (I made them myself, but the idea was inspired by THIS). And here's the box, all ready to go! **Note: I ended up tying jute around the box to help keep the lid on. 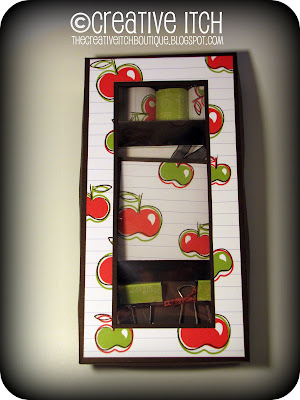 The tutorial for the box can be found HERE from Inking Idaho. 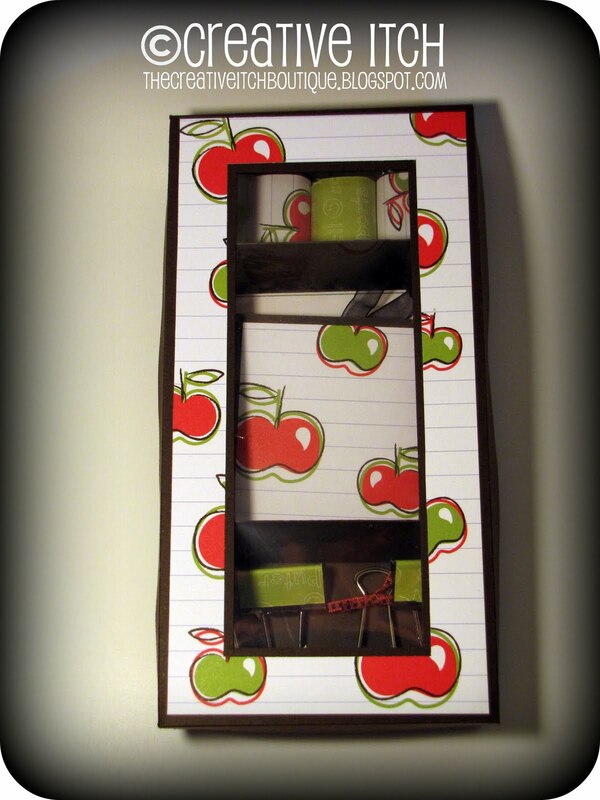 I usually don't buy paper crafting tutorials (I love free stuff! 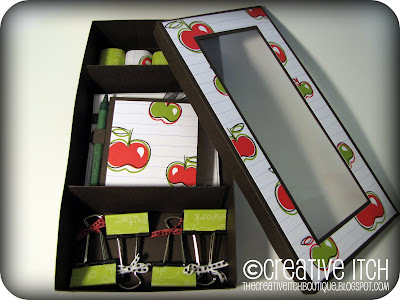 ), but this box tutorial is totally worth the $3.95 I spent on it!! So cute ... I'm sure the teachers were thrilled to get them! This turned out super cute! What a lucky teacher! So adorable!!! Any teacher would LOVE this gift (Im a teacher...I can vouch!) and esp since it's handmade. Looks SO professional and clean. That is a really great gift idea! I am not one to give teacher's chocolate, you never know who is allergic to what. But, my mind is at work, and I thought to sub the chocolates for chunk erasers, especially for the younger grade teachers. Such a good idea! 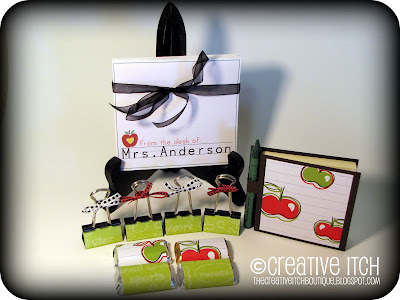 I included a link to it in my top 23 Fav Teacher Gift Tutorials round-up! Feel free to grab a featured button. Satisfying my 'creative itch' one craft at a time! p.s. do you have a Silhouette? 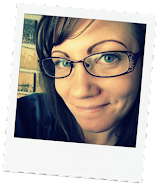 tons of giveaways going on!